As far as roadside attractions go, you usually can’t go wrong with a dinosaur. Humans have been fascinated with them ever since we discovered the fossils in the early 1800’s. This in itself is surprising, when you consider that only a couple hundred years ago, most of humanity had no idea they even existed. The Great Plains region of America has been a hotbed of dinosaur discoveries since then, with dinosaur museums, exhibits, and dig sites popping up in the Dakotas, Wyoming, Montana, and Colorado. Glendive, Montana is a small city in the eastern part of the state rich with dinosaur history. 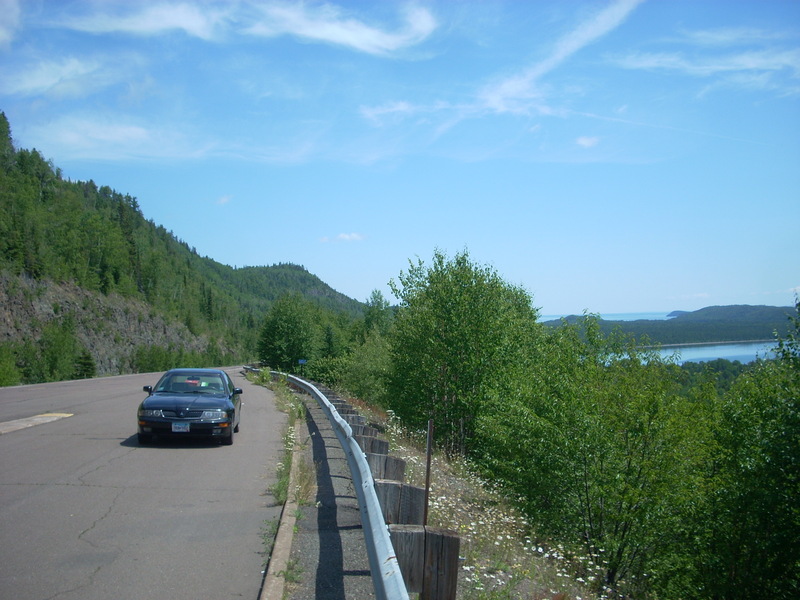 It features a fantastic roadside attraction just north of town on a small lake called Glendisaurus. The dinosaur is a Triceratops-inspired creature that was built between 1994-1997 as a community art project. 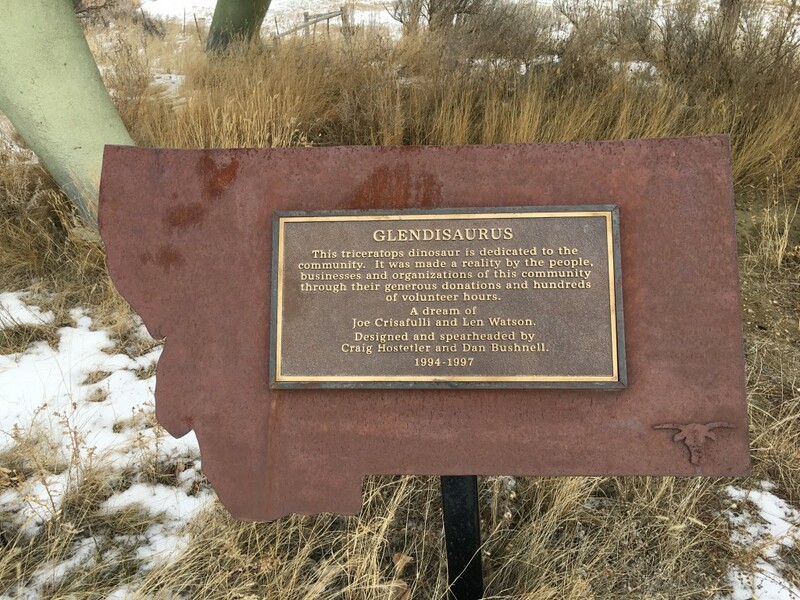 An information plaque in front of it tells the brief story of how Glendisaurus came to be, noting that community members volunteered time and money to create the statue. Colorful and photogenic, it’s definitely a fun one. 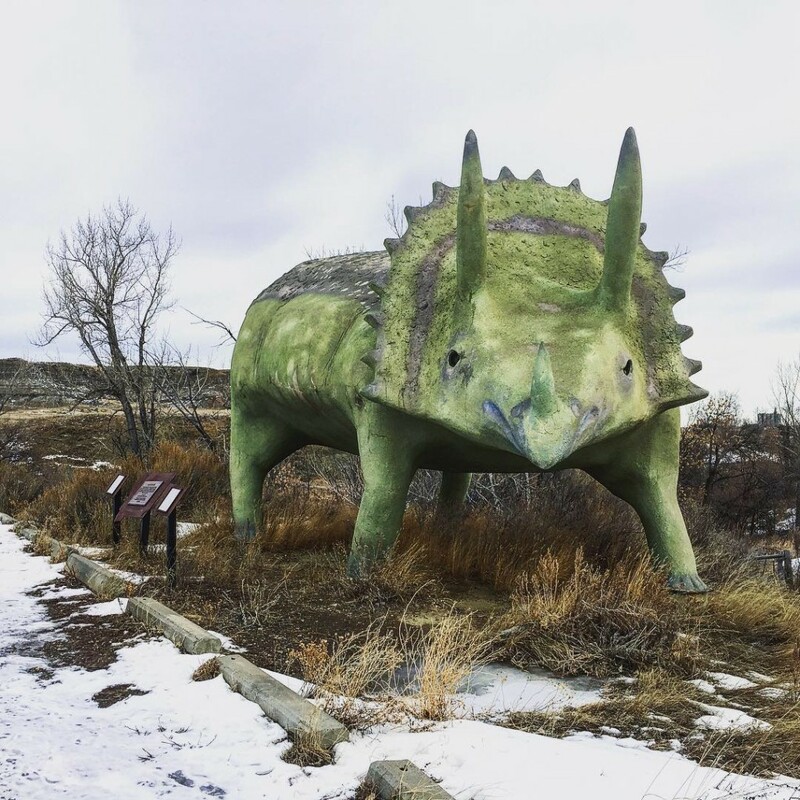 Also in Glendive, there is a Dinosaur and Fossil Museum which opened in 2009 with dinosaur exhibits on display as well as dig site opportunities in the nearby Badlands region. The museum surprisingly takes a Creationist slant on the prehistoric beasts, going so far as to claim humans and dinosaurs existed at the same time, and dinosaurs may have actually been on Noah’s Ark. There is a 40-ft long T-Rex on display as well as 20+ other dinosaurs and fossils. But if you can’t make it to the museum, head over and see Glendisaurus. It’s more fun anyways! 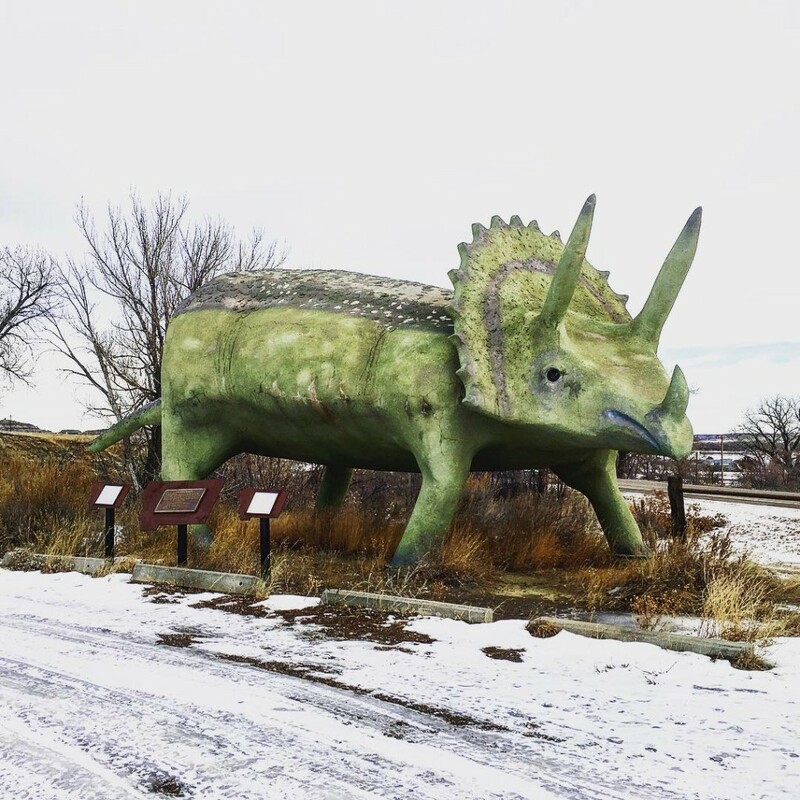 While in the area: In addition to the dinosaur museum, Glendive also contains a frontier museum, and Makoshika State Park is just outside of town which features the beautiful scenery of Montana’s badlands region. Medora, ND isn’t too far, and the scenic Yellowstone River winds its way through the region.